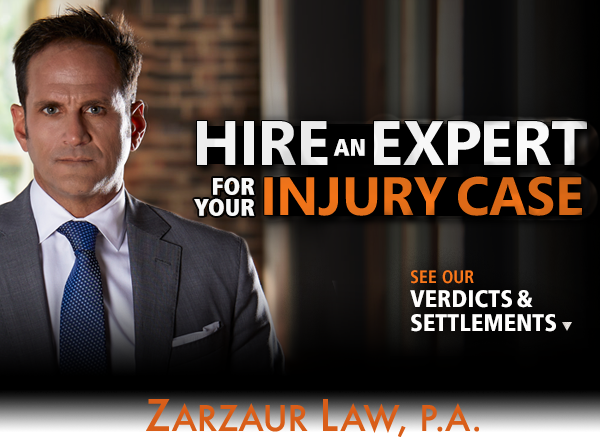 As one of the leading personal injury lawyers in Pensacola, Florida, Joe Zarzaur has dedicated his life to helping car wreck victims protect their rights. One major way that Personal Injury Law Firm, Zarzaur Law achieves this mission is by fighting extremely hard for the clients he represents. But a second and equally important component of Zarzaur Law Firm’s work is providing the community with the resources they need to keep themselves protected. 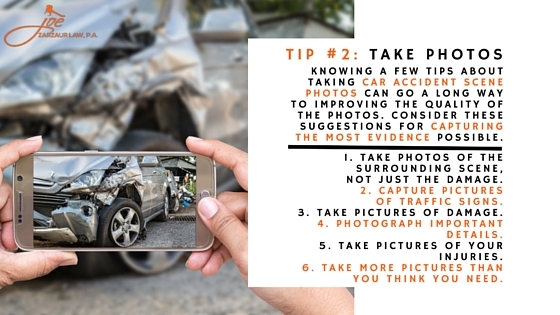 If you’ve been the victim of a car wreck, it’s important that you don’t make any rash decisions. 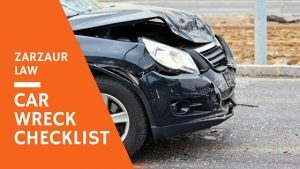 Instead, follow the car wreck checklist below and put yourself in the best possible position to receive the justice you deserve. 1. Do not give a recorded statement to any insurance company representative, even yours. They have to tell you they are recording you. Politely refuse to give it until you speak with a lawyer. This consultation is free and can be scheduled 24/7 at 855-HIRE-JOE (447-3563). Car insurance companies will show up at your house and bribe you, usually with a $2,500 check, to sign a release. Do not do it until you have waited long enough to know that you are not injured. 2. Do take pictures of your car and the car that hit you. Also, take pictures of injuries. 3. Do not sign anything until you have spoken to a lawyer. 4. You have 4 years to pursue injury claims related to wrecks unless there is a death, then it is 2 years. Insurance companies want you to think it is 4 hours. 6. Florida car insurance policies all have personal injury protection coverage. It is like temporary health insurance for wrecks and it comes from your own policy, not the other drivers. Health providers like this stuff since it pays dollar for dollar unlike health insurance, which usually has a negotiated discounted rate. Protect it and make sure you get the best medical care for your money. 7. Property damage (fixing or totaling your car) claims are usually handled without lawyers being involved. 8. Most permanent injuries from wrecks do not show up in the ER. Emergency rooms are looking for life/limb threatening injuries only. 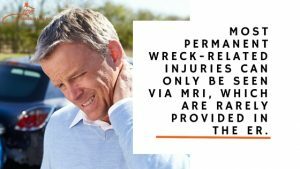 Most permanent wreck-related injuries can only be seen via MRI, which are rarely provided in the ER. 9. The second day following wrecks is the day most people feel the worst. Go to an ER or an urgent care. 10. 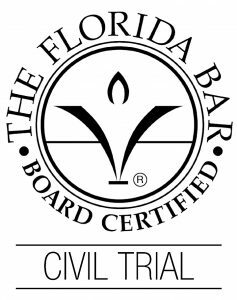 When you select a lawyer, choose one who is board certified in civil trial. Only 1% of Florida lawyers have earned board certification. This is the highest level of credentialing for lawyers in Florida. All personal injury lawyers generally charge the same fee only if you win, so it only makes sense to choose the most qualified representation. And once again, don’t forget to schedule your free consultation with Joe by calling him 24/7 at 855-HIRE-JOE (447-3563).